FEBRUARY 6 (4:00PM): SOLD OUT! Thank you so much Sundre and surrounding area! We very much appreciate the support! There will be no tickets available at the door. THE TREWS will be bringing their highly acclaimed acoustic tour to the Sundre Arts Centre on Sunday, February 21st, 2016! 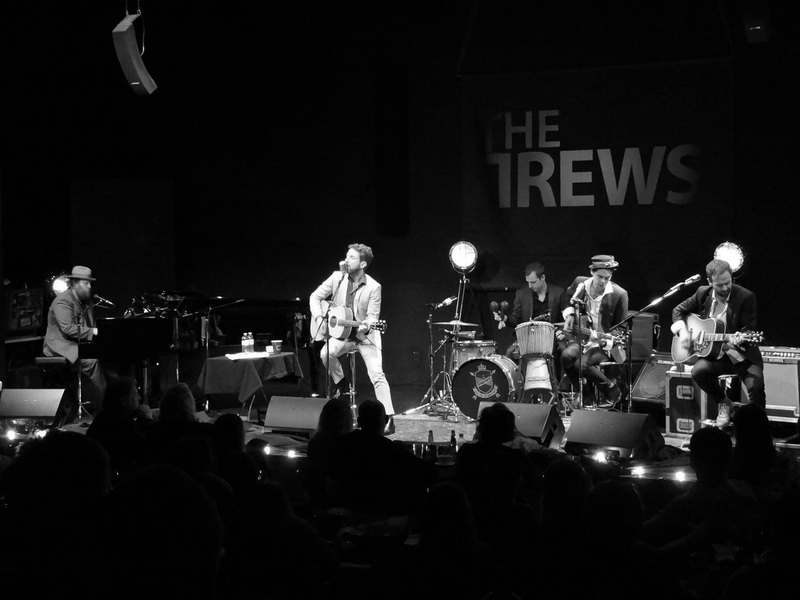 Judging by the boldness of their choices, you'd never guess The Trews are 10 years, five studio albums and thousands of gigs into their highly celebrated career. Hailing from Antigonish, Nova Scotia – The Trews have been wooing the music scene since 1997. They have released five studio albums to date: House of Ill Fame (2003), Den of Thieves (2005), No Time for Later (2008), Hope & Ruin (2011), and The Trews (2014). And still found time to put together EPs …Thank You and I’m Sorry (2012), and Acoustic – Friends & Total Strangers (2009) with their whirlwind touring schedule! Though the Toronto-based foursome made its name dishing intense, hooky, melodic rock and roll that won fans and critics worldwide – not to mention heaps of awards and countless radio hits pulled from a clutch of live and studio albums and EPs – The Trews discovered serendipitously, that turning down the volume actually dialed up the heft. “We had no idea the acoustic shows would be so popular,” confirms songwriter/guitarist and producer John-Angus MacDonald. “I think the idea of everybody singing became the real hook of the thing. It wasn’t just electric music played quietly; some songs sounded totally differently by the time we had rearranged them in that format.” Indeed, songs that had been wallflowers in The Trews’ electric set suddenly bloomed, notably a pair of tracks from 2005’s celebrated Den of Thieves. Thank you to John-Angus, Colin, Jack, Gavin, and Jeff of THE TREWS for the incredible performance on Sunday, February 21st! You brought a big show to small town and blew the socks off the Arts Centre!! Everyone was in full agreement as to how much they loved the show; it was a performance we won’t ever forget! Thank you again for making Sundre part of your tour and we wish you all the best on the rest of your travels! In addition, thank you to Mohsin Zaman for your wonderful opening performance – it was a most welcome addition to the show! And to all those who made things run so smoothly behind the scenes – Tod, Rob, and Lenny – thank you also. Thanks to our SPONSORS: Alberta Foundation for the Arts, Sundre IGA & The Mennear Family, Little Country Cappuccino, Cowboy Trail Liquor, Peak Printing, CKUA Radio, Greenwood Neighbourhood Place.